The early city states were gathering sites for many tribes and peoples, so city life was multicultural from the beginning. While relations between different ethnic and cultural groups has been problematic, it was in the interests of the earliest cities to serve as a meeting site for many groups and cultures to foster trade and development. This contributed to the expansion of systems of thought transmitted through teaching and texts. While the shaman of a tribe could know the great deal of a tribe’s oral tradition, in the early city states knowledge grew to the point that specialists were required. Often, centers of knowledge were temples and the texts and study maintained by priestesses and priests ordained in the traditions. Cosmology, as mentioned last lecture, was philosophy, religion, physics, medicine and psychology together, even as it began to specialize. Today, we sit at the result of this process that has continued for thousands of years. Later, after the Renaissance as Europeans retold the story of history with the Catholic tradition at the center, the Greeks and Romans became the origin of civilization for the role they played in the texts and philosophy of the Bible’s New Testament. While Renaissance philosophers in Italy still included the Persians and Indians in their timeline of history, the Catholics, and then Protestants, and now modern “Western” scholarship has progressively forgotten even the Romans as they focus on singular events in ancient Greece and then flash forward to Europe in the 1500s and 1600s, just as the tide of trade, gold and silver began to turn along the silk road from most going Eastward to most going Westward. It was only in the early 1700s that Europe had power and wealth beyond what previous civilizations had achieved. 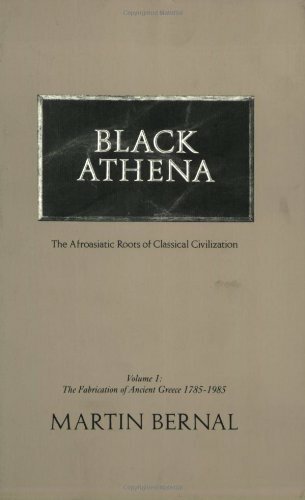 The roots of European civilization are in fact bound up with the rise of the Germanic and Celtic peoples, as well as the Arabs, nomadic traders across the Arabian peninsula (modern day Saudi Arabia occupies most of this land today) who ran camel caravans across the desert of goods between African civilizations such as Egypt and Nubia and Middle Eastern civilizations such as Sumer, Babylon, Assyria, Persia and India. An excellent book for appreciating the earliest city state civilizations is History Begins at Sumer by Kramer. Note that the title basically says, “Hey, remember that Sumer happened”. Sumer was not necessarily the first city state (a walled city that ruled the land surrounding it as a single city empire) but because writing was first developed there it is the first civilization on the written record. Sumer was a city state at the mouth of the Tigris Euphrates which was then taken over and incorporated into Babylon, which then was taken over by Assyria, which was then taken over by Persia. At each stage, a city upriver on the Tigris and Euphrates rivers took over a city downriver that had become prosperous through trade with various peoples across the land and sea. These were multicultural societies in which citizenship did not belong exclusively to one ethnicity. This allowed for diverse marketplaces where goods, cultures and ideas could be exchanged. Cities were centers of trade, such that not only was the city a site for many groups to converge and form a new culture but this culture also traded with other convergent cultures. Many are surprised to learn that ancient Sumer and Egypt traded with India hundreds of years before the Greeks and Israel arose, but archeologists have found a small community of Indian merchants living in Alexandria Egypt as early as 300 BCE. From the earliest times, culture, trade and thought have been trans-cultural. In modern times, John Perkin’s famous book Confessions of an Economic Hitman (he came to speak at BCC a few years ago) gives an excellent account of the same strategy of dominance through economics in modern times as it is used by America today. Perkins says that he was a businessman who traveled the world helping other countries get into debt with America such that American corporations could come in and take over. If this fails, Perkins says that the second level is the “CIA Jackals” (his words, not mine) who make a move here and there to smooth things over for the business interests if a politician or people’s movement threatens this. If they fail, Perkins says the third level is “Here come the marines”, and that Iraq is a result of a failure of the first and second stage of this process. The poverty of the third world is, in part, due to this and similar economic strategies by other wealthy countries. Often it is stated that the ancient Greeks invented politics and specifically Athenian democracy, but in Sumer we find the first democratic bicameral congress. In the Epic of Gilgamesh, one of the first recorded myths in human history, we read that Gilgamesh wants to go to war so he appeals to the elders of the senate. 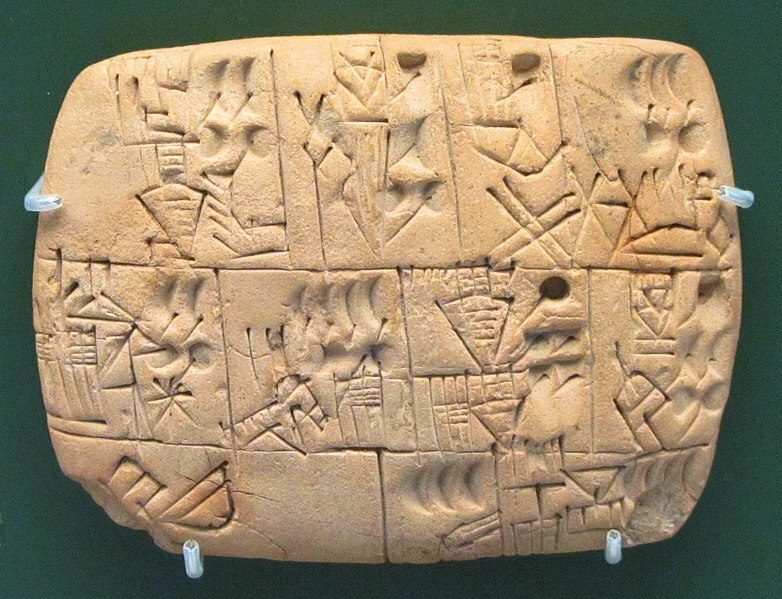 The elders do not want war because they have fragile investments in the situation, so Gilgamesh appeals to the larger and lower house and they enthusiastically accept his proposal, probably because as new money they are seeking new opportunities, unlike the senate who have already secured their investments. 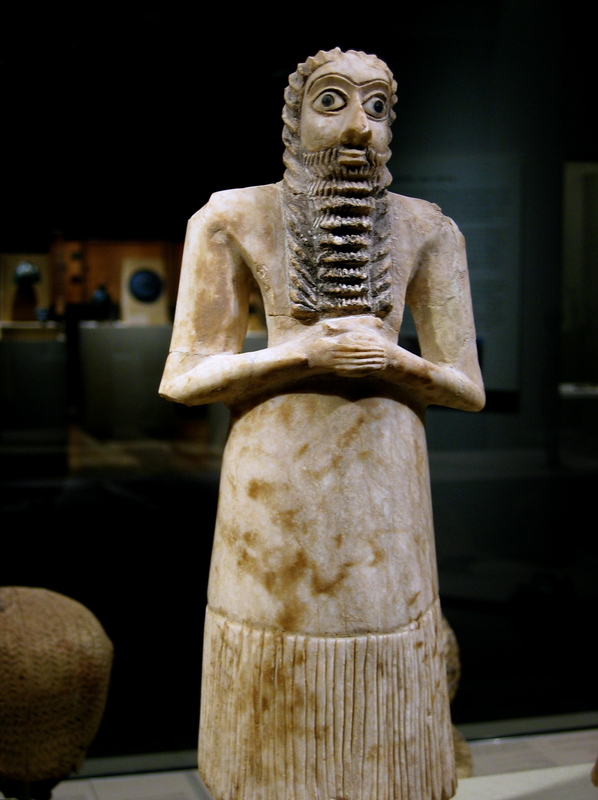 Gilgamesh, the king, must seek approval from the community as a whole to go to war with the necessary support and needs the house to override the smaller but higher senate. 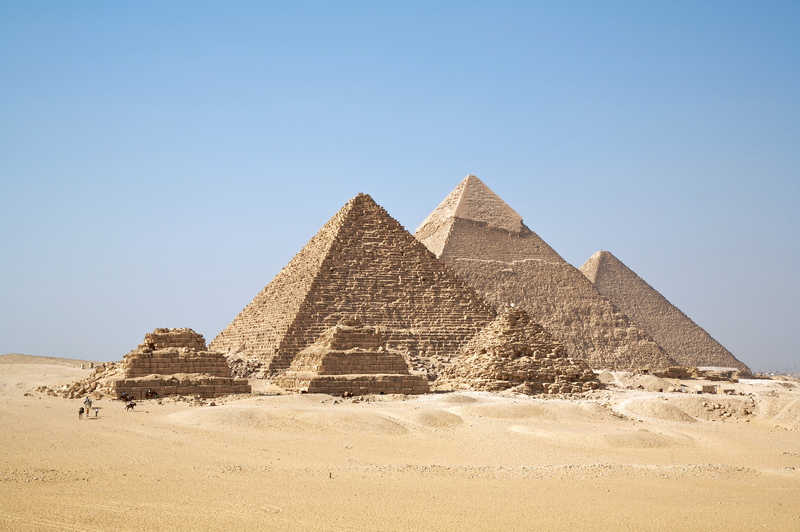 Before considering passages of the Egyptian wisdom texts, I want to address two common misconceptions about the Egyptians. First, the Egyptians are rarely portrayed as an African people but rather museums and textbooks portray them as an Eurasian people who are quite light in skin color. 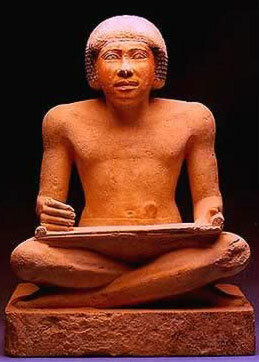 When we consider that the Egyptians painted all of their statues and carvings (as did the Greeks), and they always painted men as dark red and women as yellow, as well as having black braided hair (Herodotus the Greek historian describes the “wooly” hair of the Egyptians) it seems that the Egyptians were an African people and we are only slowly growing to recognize this. It is a big debate between Eurocentric and Afrocentric scholars today, but the debate is held largely outside of official academia and universities as Afrocentric scholars are perceived as biased, unacademic and unprofessional in their opinions. One concept that appears in the texts is the “heart guided individual”. The heart was thought to be the physical and mental center of the human individual. As Egyptian society developed, increasingly being “guided by the king” was replaced with being “guided by the heart”. The heart is the essence of the human and the intention within the action. Repeatedly in the text, individuals are called to listen to their heart rather than build luxury and maintain authority. These are issues that we all struggle with to this day, and so we can learn much about early human experience by reading these proverbs. Let us turn now to the proverbs themselves, considering the wisdom of specific passages. Let not your heart be puffed up because of what you know, nor boast that you are a wise man. Consult with the ignorant as well as with the wise, for there is no limit to where wisdom can be found. Good speech lies hidden like a precious stone, yet wisdom is found among maidens at the grindstone. In this verse, we see Marikare (a local king offering advice to the crown prince, 1500 BCE) questioning the value of traditional sacrifice. In India, Greece and China, we will see similar thoughts questioning the value of traditional practice over being virtuous. If the wealthy make sacrifices, but rule with cruelty, those who dare to question will ask if performing sacrifices truly gains one merit. Jesus chasing the money changers and sellers of sacrificial animals out of the temple is a similar move. Because we refuse to imitate the wicked man, we help him, we offer him a hand…That he may know shame, we fill his belly with bread. Never permit yourself to rob a poor man. Do not oppress the down-trodden, nor thrust aside the elderly, denying them speech. Who plunders the goods of a poor man takes the very breath of life away from (herself or himself). Such cheating chokes off justice, but a full measure increases its flow. The Eloquent Peasant or The Complaint of the Peasant is a story about a peasant who has been robbed by a local official and who gives a series of nine arguments to the local magistrate appealing for justice which shows again that the ancient Egyptians were concerned about the poor and social justice, while also having problems with each as we still do today. It also shows ancient Egyptian cosmology holds that the world works like a giant person, and breath and air carry order downward from the fire of the stars, sun and moon. If we do injustice, we not only choke the universe but ourselves as well. The Egyptians were the foremost doctors of the ancient world and were revered by the Romans in the beginning ages of Roman empire, and only in the empire’s later years did the Romans begin turning to Greek doctors, who had learned much from the Egyptians and added to it. Consider that we still practice the Egyptian custom of wearing the wedding ring (originally just worn by women) on the ring finger (which is how it got its name) through the Roman Catholic tradition. There is a large artery running through this finger, which the Egyptians found by doing anatomy, and because it was thought to be associated with lust a man puts a wedding ring on his wife’s finger to serve as a sort of lust collar. We do not practice the Israelite tradition of wearing the wedding ring on the index finger, which a man would put on his wife’s finger to prevent her from casting curses on him. Honor men of achievement and the people will prosper, but keep your eyes open. Too much trust brings affliction…Exalt no man because of birth. Judge the man by his actions. A man should do that which profits his soul. Let him perform the services of his temple. Let him share in the mysteries of his religion. Ani shows us that as people gathered into ancient city states, they became critical of human behavior. Eat no bread while another waits in want, but stretch out your hand to the hungry. One man is rich, another is poor. Yesterday’s master is today’s servant. Don’t be greedy about filling your belly. Where only last year the river ran, this year the course is dry. Great seas have turned to desert wastes, and the sandy shore is now an abyss. Ani again shows us that one could become rich or poor in society, and it is wise to remember it. Do not lie down at night being afraid of tomorrow. When day breaks, who knows what it will be like? Surely, no man knows what tomorrow will bring.